Unique Design & Anti-Slip System - The smooth no-slip top provide unmatched comfort. We carefully designed and manufactured our compression knee sleeve to provide superior support, Without compromising your mobility. Comfortable Wearing - Light weight and soft material, Tight, Form fitting, and breathable compression fabric maintains joint stability regardless of activity. Quick at absorbing sweat and keeps your leg dry and odor free, Designed for all day comfort. 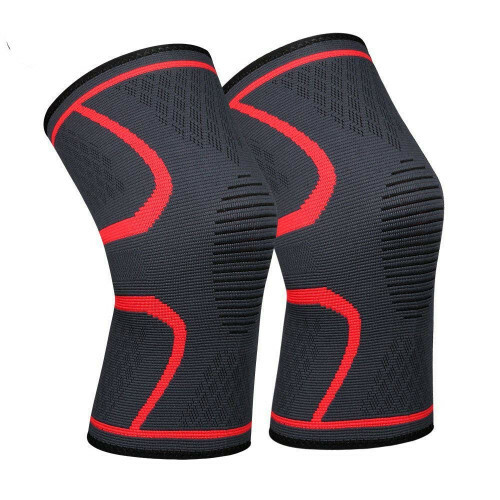 Outdoor Activity Knee Sleeve - Premium knee compression sleeves designed to guarantee seamless movement during running, Jogging, Cross fit, Fitness, Yoga, Basketball, Volleyball, Soccer, Hiking, Skiing, Tennis, Cycling and post knee injury recovery. 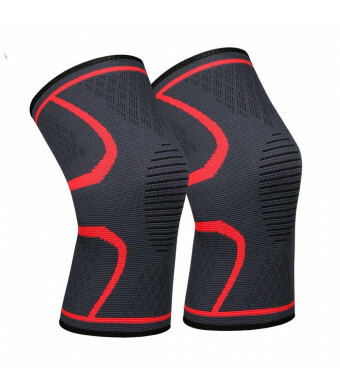 Trust - Finest material is used to produce knee sleeve for arthritis, Running, weightlifting along with other outdoor activities, Because we care about the health and well-being of our customers.